Taking up 294 days of our lives every year faffing around with our hair? 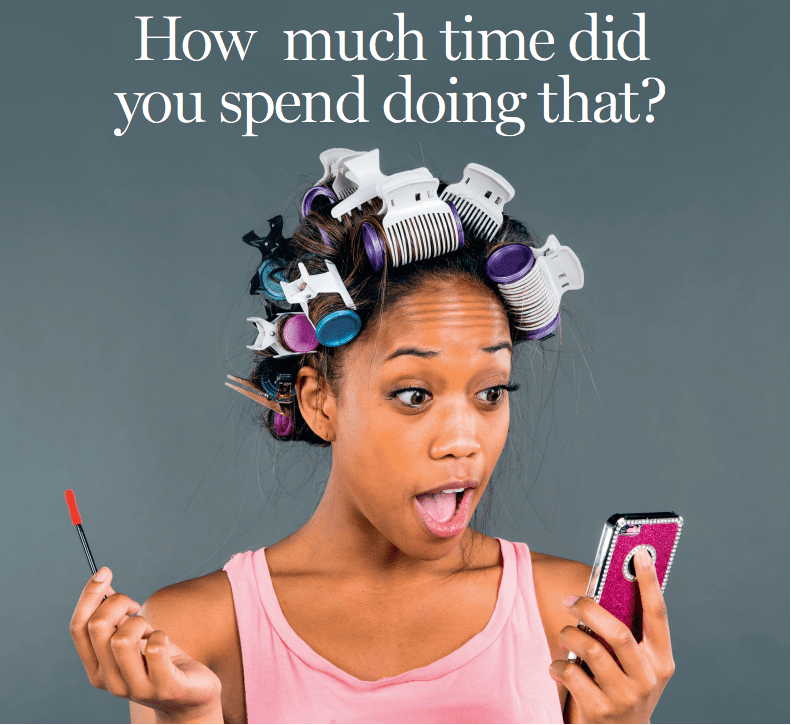 Yes, you got that right – this incredible statistic shows we waste nearly a whole YEAR pampering and preening that mane. Washing Afro hair just once a week is the best start to cut out unnecessary time. But why not go one step further and see if you can eek out a little extra life in those locks by investing in a decent style saviour. Vidal Sassoon Infra Radiance Hot Air Styler, which is a styling brush and hairdryer in one. Simplifying and speeding up at-home styling, it features infra-radiance and tourmaline technology to smooth the hair cuticle and preserve natural moisture for a less frizzy finish. This is one area you cannot afford to cut out on because sleeping in make-up can lead to blemishes and aids ageing. But there are speedier ways to keeping your skin in top condition, including one of out top favourites here at NAW. Egyptian Magic All Purpose Skin Cream, which is one multi-tasking product with a difference! Also jam-packed with natural ingredients including olive oil, beeswax and honey, it can be used as a moisturiser as well as hand cream, lip balm and even soothes minor burns or skin conditions such as psoriasis. Yes, say YES! to this must-have beauty wonder. If this statistic refers to ordinarily groomed brows then just think how much time is wasted for all those friends or family members, even work mates who have taken eyebrow plucking to a whole new level! Really, losing an entire month, each year of your life on tweezing and shaping eyebrows? That is quite excessive when you put it into perspective. In comes the Shavata Stencil Kit which comes with easy-to-use stencils to help guide and avoid over-plucking. Use with a good pair of tweezers such as the award-winning Tweezerman Slant Tweezers. colour. Is a great way of reducing frequent visits to your hairdresser and saves essential bucks. Want to make that colour lasts even longer? Use the Redken Color Extend Magnetics Sulfate-Free Shampoo and Conditioner which offers super-charged amino-ions that attach to the hair fibre and form a protective seal over your hue. You can even push back further your next hairdresser appointment, by even an extra week, by investing in Alterna’s 2 Minute Root Touch-Up – a temporary solution to erase roots and blend away greys that washes out with just one shampooing. for 20 days in a year, seems insane! Speed up the mani or pedi process by investing in products that work quicker, such as Rimmel’s 60 Seconds Nail Polish. This super-quick formulation really does dry in less than 60 seconds, and also offers a host of high impact colours that are anti-fade, anti-shine and last up to 10 days. Follow with the Bourjois Instant Dry Nail Drops, which dries enamel twice as fast meaning no time wasted waiting for nails to dry – and no smudges when you decide you simply can’t afford sitting around doing nothing, but stare at you nails while you wait for the varnish to dry! Ridding your face and body of dead skin cells seems time-consuming even when you do it twice a week – so it’s no wonder it adds up to a 20 days in each of your year spent on scrubbing away! Although a beauty routine essentials, there are ways you can gain back time, simply by choosing your exfoliating products wisely. 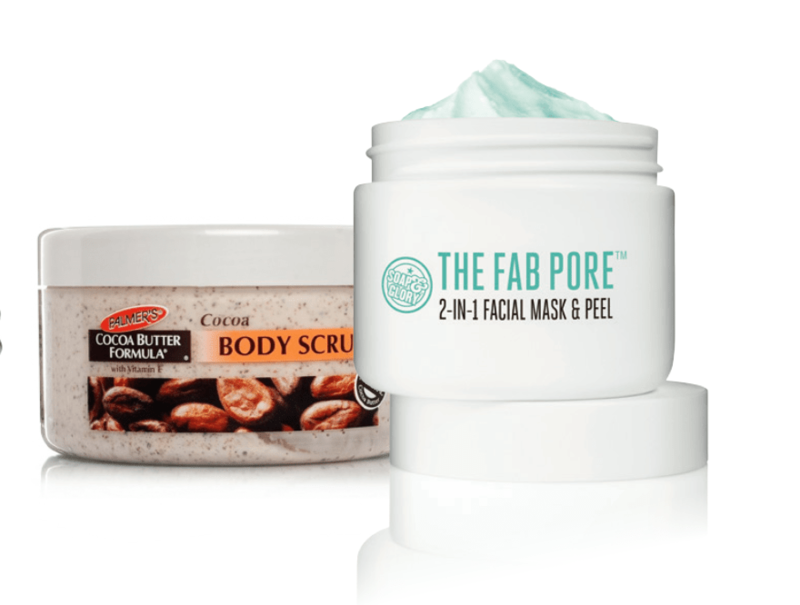 Try Soap & Glory The Fab Pore 2-In-1 Facial Mask & Peel – a deep cleansing facial treatment must-have that unclog pores, prevent spots and eradicate dead skin cells, as well as working as a mask and peel to cut out the time-consuming middle woman (and by that we mean woman). As for your body? It’s got to be Palmer’s Cocoa Butter Formula Cocoa Body Scrub. With black women both in Africa and its the its Diaspora offering divergent views on whether hair removal is necessary on black skin, the bottom-line is whether you choose to shave or not is all up to you as an individual. But for those who do there must be a way of getting back some of the 72 days spent on smoothing those legs! First on our hit list is the Bliss Hair Today Gone Tomorrow set, which offers everything you need to ensure a successful home waxing regime that saves you money and time. This kit contains Waxing Strips for the body, ingrown air eliminating pads and a blood orange and white Pepper body butter for hydration. Alternatively, why not invest in the Braun Silk-Epil 5 Wet & Dry – an epilator designed for use in the water to relax skin and reduce discomfort, as well as cutting time as it used while you bath or shower. But that’s not all! It so good it removes hair as small as a grain of sand directly from the root minimizing repeat procedures a meaning you can reap back even more of your precious time. It’s hard to believe! But on average black women spend 555 DAYS of their lives plucking and preening! Home Chic Home: Where the Art is!